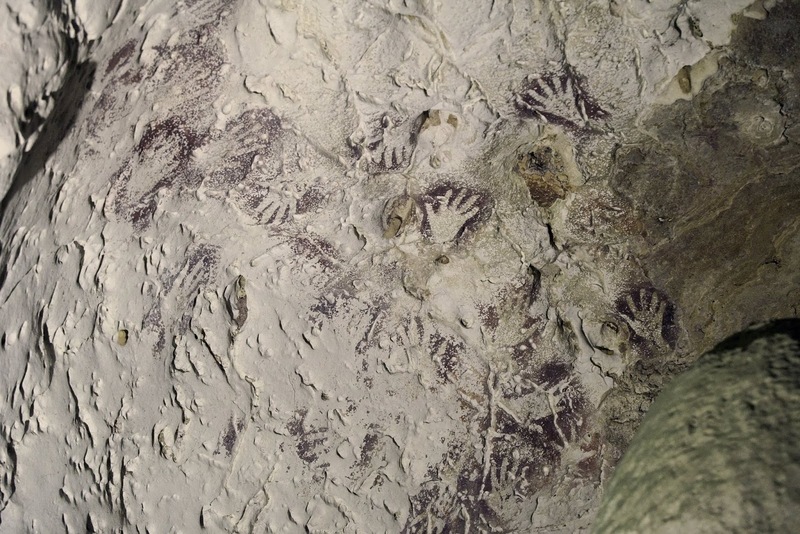 Griffith University researchers have dated cave paintings in Borneo to as early as 40,000 years ago, showing that these enigmatic artworks are among the world’s oldest examples of figurative depiction. Composition of mulberry-coloured hand stencils superimposed over older reddish/orange hand stencils. This finding adds to the mounting view that cave art – one of the most important innovations in human cultural history – did not arise in Europe as long believed, and that ‘ice age’ artists in Southeast Asia played a key role in its development. Since the 1990s, caves in remote and rugged mountains of East Kalimantan, an Indonesian province of Borneo, have been known to contain prehistoric paintings, drawings, and other imagery, including thousands of depictions of human hands (“stencils”), animals, abstract signs and symbols, and related motifs. 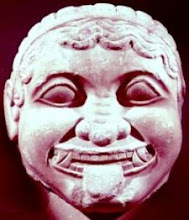 These near-inaccessible artworks are now known to be far older than previously thought, according to a study led by Griffith’s Associate Professor Maxime Aubert, along with Indonesia’s National Research Centre for Archaeology (ARKENAS), and the Bandung Institute of Technology (ITB), published in Nature. Composition of mulberry-coloured hand stencils from East Kalimantan, Indonesian Borneo. Associate Professor Aubert’s team reports Uranium-series dates obtained from calcium carbonate samples collected from the Kalimantan cave art, providing the first reliable estimates for the approximate time of rock art production. 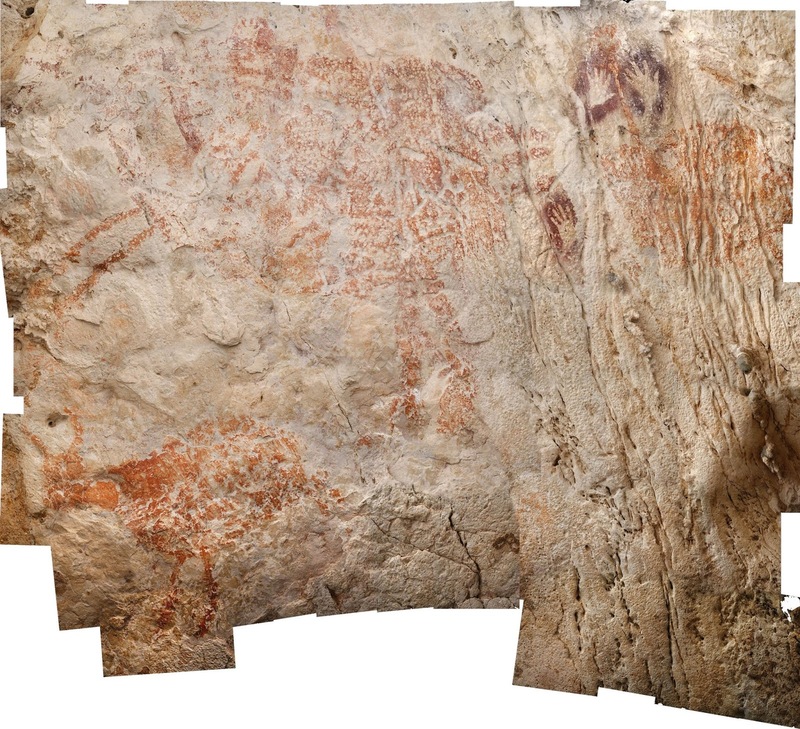 “The oldest cave art image we dated is a large painting of an unidentified animal, probably a species of wild cattle still found in the jungles of Borneo – this has a minimum age of around 40,000 years and is now the earliest known figurative artwork,” Associate Professor Aubert said. The Kalimantan stencil art was shown to be similar in age, suggesting that a Palaeolithic rock art tradition first appeared on Borneo between about 52,000 and 40,000 years ago. Dating also indicated that a major change occurred within this culture around 20,000 years ago, giving rise to a new rock art style (including rare portrayals of humans) at a time when the global ice age climate was at its most extreme. “Who the ice age artists of Borneo were and what happened to them is a mystery,” said team co-leader Dr Pindi Setiawan, an Indonesian archaeologist and lecturer at ITB. Setiawan has studied the art since its discovery, and, along with ARKENAS rock art expert Adhi Agus Oktaviana, leads expeditions to the Kalimantan caves. “The new findings illustrate that the story of how cave art emerged is complex,” Oktaviana said. 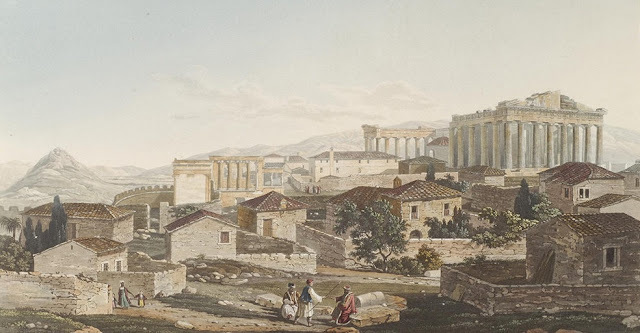 Europe has long been seen as the centre for cave art development. But although Borneo is the Earth’s third largest island, throughout most of the ice age it actually formed the easternmost tip of the vast continental region of Eurasia – at the western extremity of this 13,000 km-wide landmass was Europe. 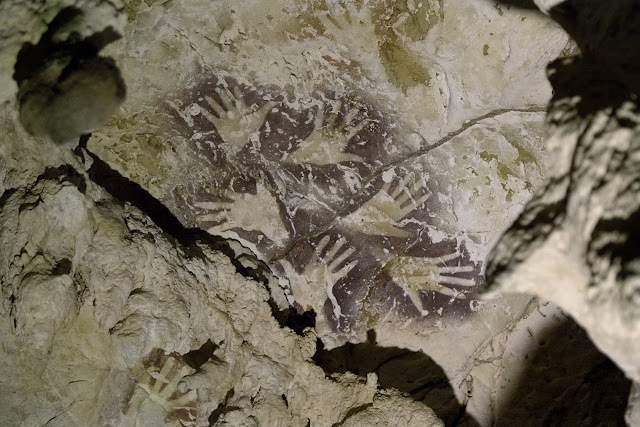 “It now seems that two early cave art provinces arose at a similar time in remote corners of Palaeolithic Eurasia: one in Europe, and one in Indonesia at the opposite end of this ice age world,” said Associate Professor Adam Brumm, a Griffith archaeologist also involved in the study. 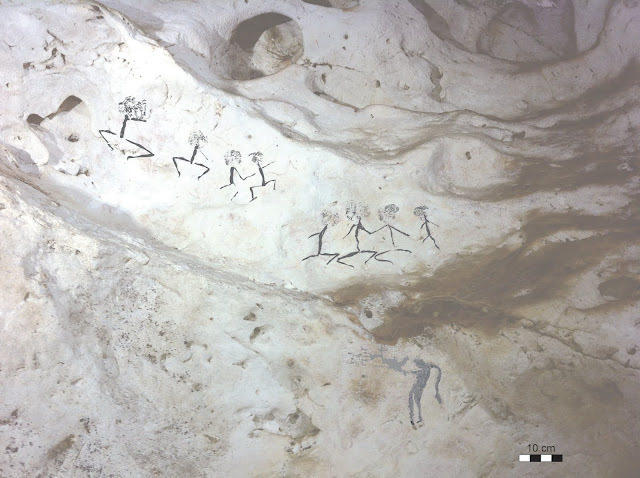 A 2014 Nature paper published by Associate Professors Aubert and Brumm (with ARKENAS) revealed that similar cave art appeared in the island of Sulawesi about 40,000 years ago. Sulawesi lies off the edge of Eurasia and is a vital stepping-stone between Asia and Australia. “Our research suggests that rock art spread from Borneo into Sulawesi and other new worlds beyond Eurasia, perhaps arriving with the first people to colonise Australia,” Associate Professor Aubert said.